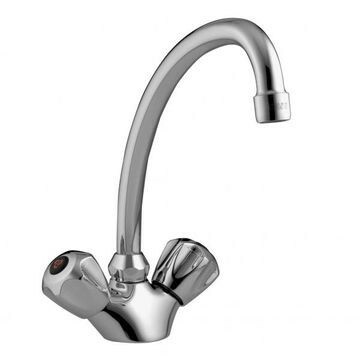 Stella one-hole sink mixer, chrome. 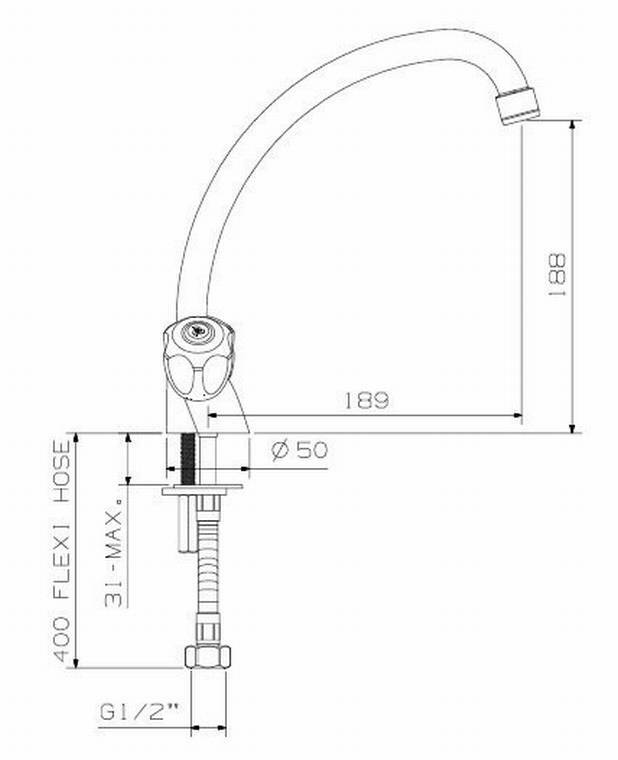 Includes: aerated swivel outlet, 1/2" BSP female inlets, mounting kit, and 2 × 1/2" female iron 400mm long flexible inlets. SANS 226 Type 2, DZR brass.